Congratulations to the 2017-18 $300K Entrepreneurs Challenge Winners! 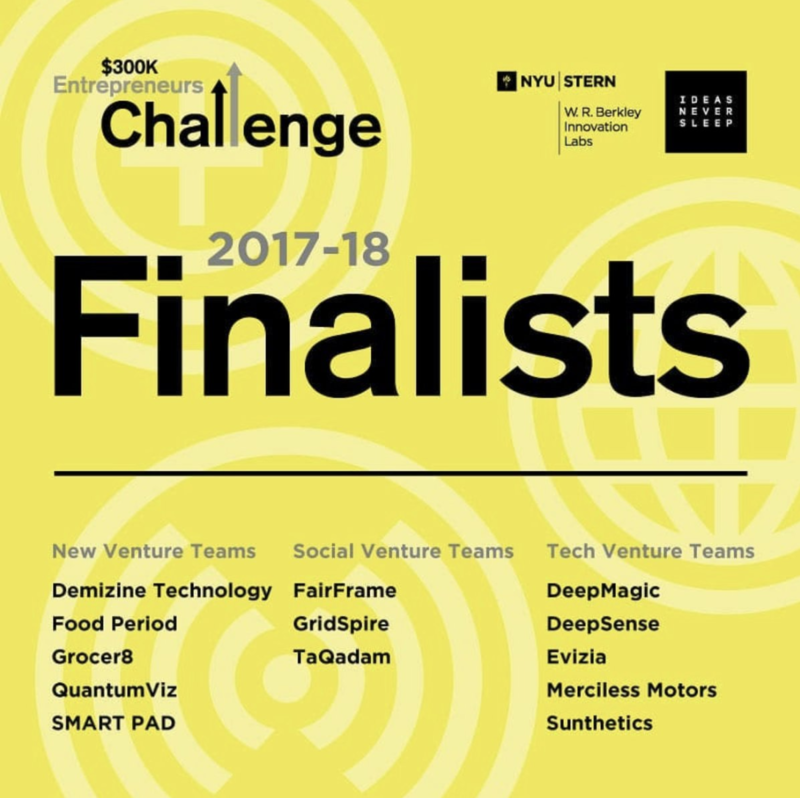 On Friday May 4th, we joined the W.R. Berkley Innovation Labs team and the broader NYU and NYC community at the final pitches of the 2017-18 $300K Entrepreneurs Challenge! 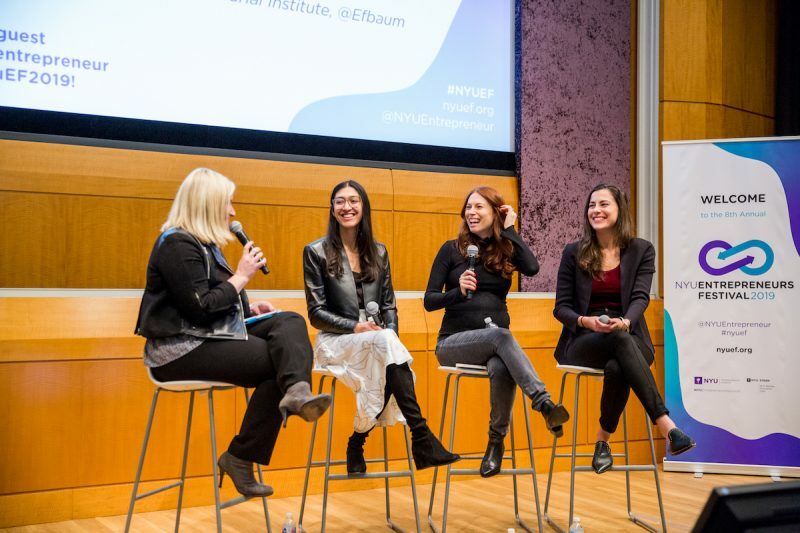 This Fall, over 600 students, alumni and faculty from 17 schools across NYU's global campuses set their sight on winning the more than $300,000 in cash and startup services. 202 teams entered; as of Friday morning only 12 remained! These 12 teams first pitched to a panel of judges made up of distinguished entrepreneurs, professionals, and investors, then again to a public audience. It was clear that these teams were well-versed and confident in their work! They pitched like pros. 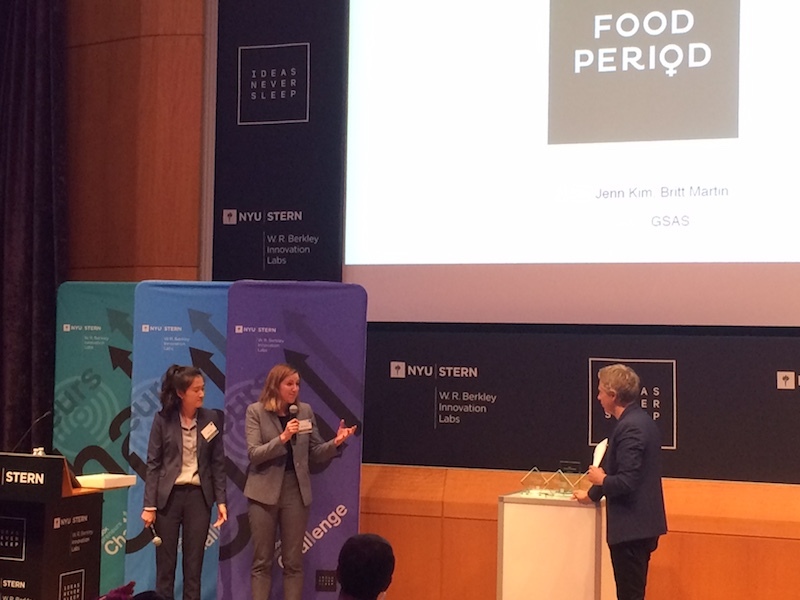 Food Period takes home $75,000 as one of the winners of the New Venture competition. Founders Britt Martin (GSAS '18) and Jenn Kim pride themselves in helping women have great periods, naturally. Food Period designs functional food products, grounded in nutrition protocols and ancient practices, that improve women's menstrual cycles. Britt and Jenn participated in the Entrepreneurial Institute's J-Term Startup Sprint earlier this year, received both Phase I and Phase II funding from the Prototyping Fund, participated in the Ignite Fellowship, and will be joining us again for the Summer Launchpad accelerator this summer. 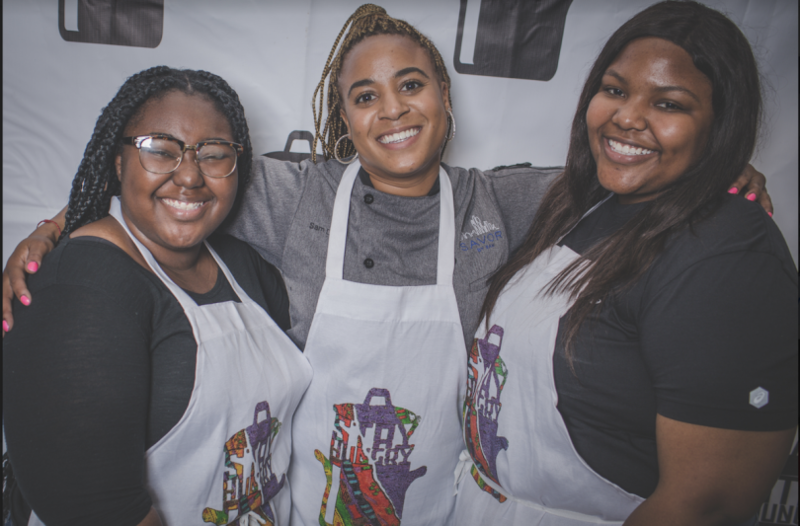 Grocer8 takes home $25,000 as the other winner of the New Venture competition. Founders Divya Jayachandran (Stern '18) and Emily Wallen (Stern '18) dedicate their time to helping consumers refine their relationship with packaged foods through customized flavor and quality profiles. The Grocer8 team has participated in the Ignite Fellowship also. 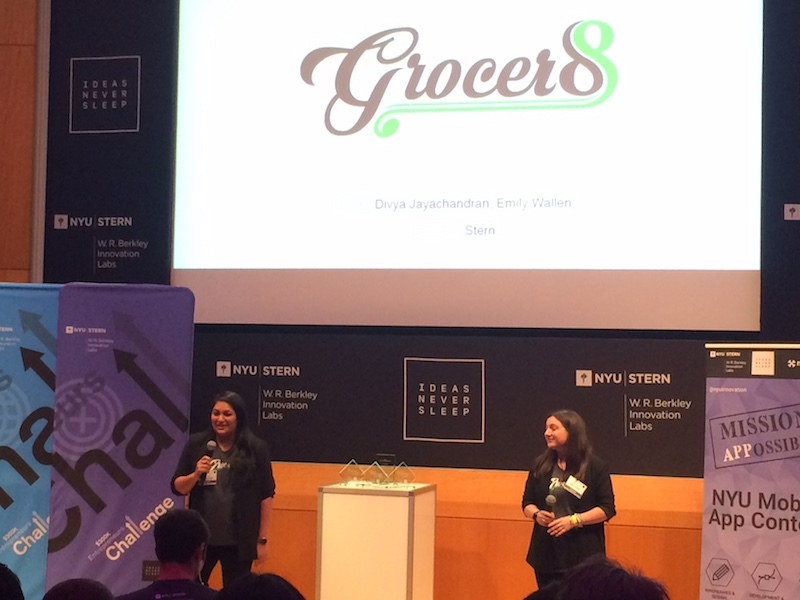 Grocer8 co-founders Divya Jayachandran and Emily Wallen. 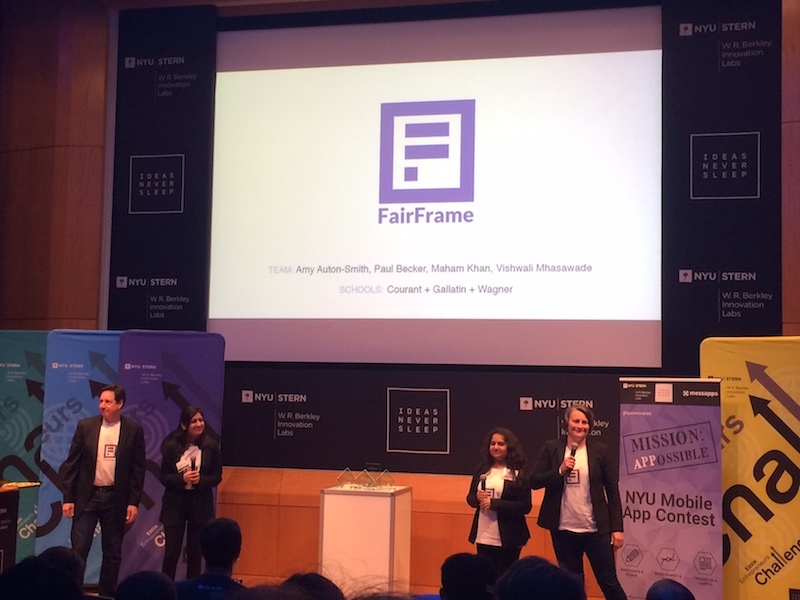 FairFrame is founded by Amy Auton-Smith (Wagner '18/faculty), Paul Becker (Wagner '18), Maham Khan (Gallatin '19), and Vishwali Mhasawade (Tandon '19). The startup offers an AI-enabled language processing platform that helps managers make informed decisions about people in the workplace, and helps organizations deliver their diversity, equity, and inclusion goals. 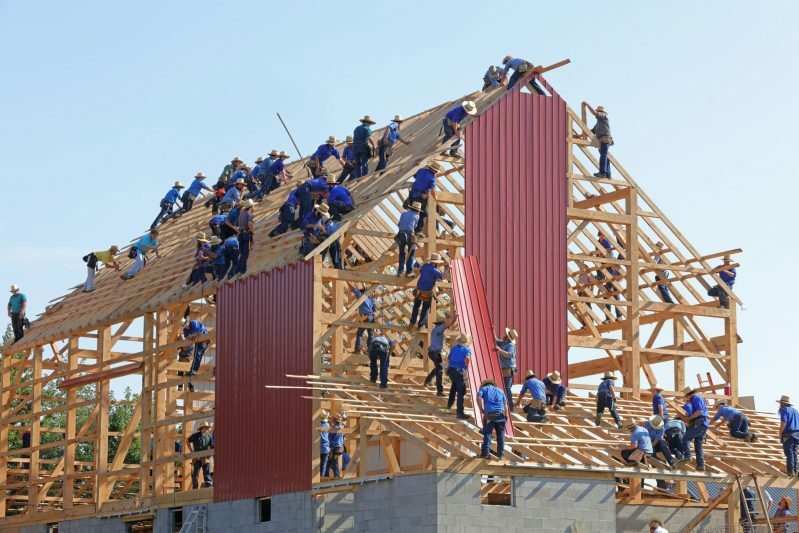 The team took home $75,000 on Friday. Sunthetics drives sustainable change in the fashion industry by providing solar-powered pathway to manufacture environmentally-friendly nylon, while improving manufacturing cost and efficiency. The co-founders Myriam Sbeiti (Tandon '18), Daniela Blanco (Tandon '21), Professor Miguel Modestino (Tandon faculty), and Ben Rizkin (Tandon '21), Kyle Ireland (Tandon '18), and took home $100,000 as their prize! 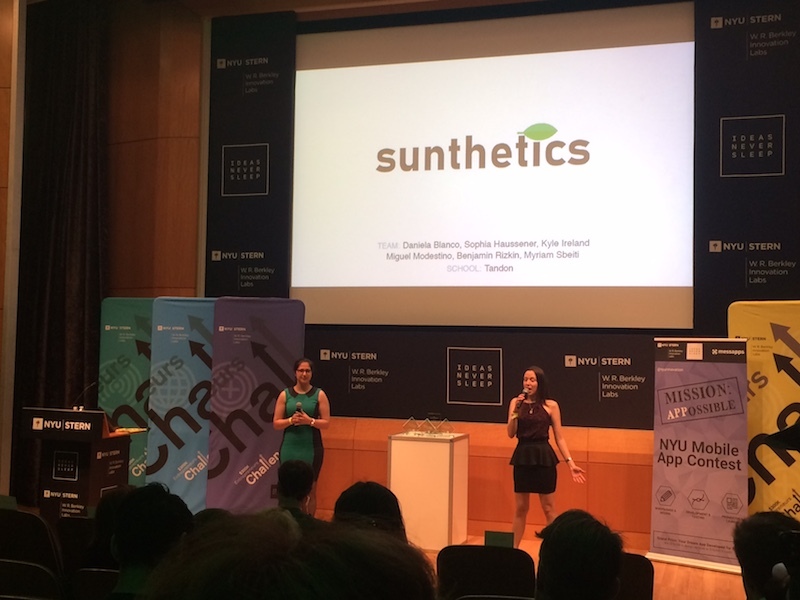 Sunthetics participated in the Entrepreneurial Institute's J-Term Startup Sprint and Ignite Fellowship earlier this year, and won the 2018 InnoVention Competition just days before also winning at the $300K Challenge! In addition to revealing the $300K Challenge winners, the evening's award ceremony also announced the winner of this year's Mission:Appossible, which is Stern's annual mobile app contest. The winner, HealthHuddle, was founded at the 2017 Healthcare Makerthon and works to intelligently integrate and display vital patient information for nurses, in order to reduce the number of hospital-associated complications. The team can choose their winning prize of either $10,000 in cash or $75,000 in app development services. 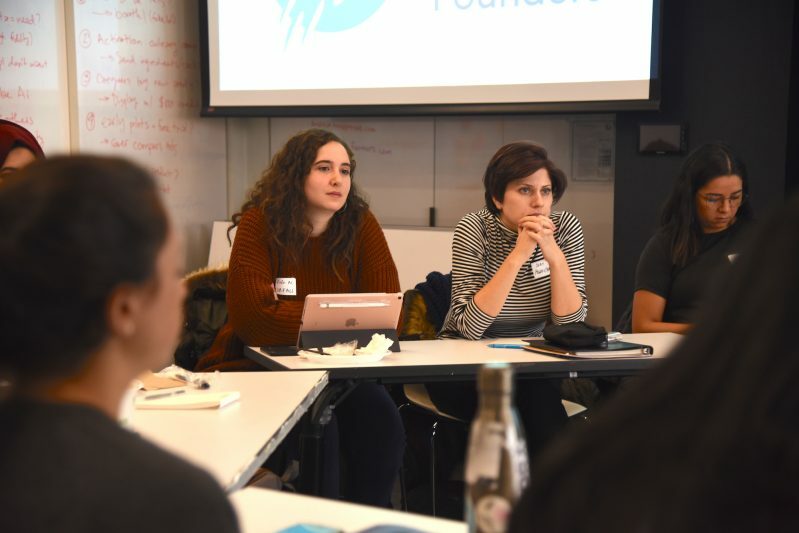 HealthHuddle founders Sabina Braverman (Wagner '18), Andrew Dempsey (Tandon '19), Danny Silk (Wagner '18), and Sushant Thomas (CAS '19), participated in the Ignite Fellowship earlier this year, and will be participating in the upcoming Summer Launchpad accelerator at the NYU Entrepreneurial Institute. Congratulations to all the winners and teams that participated in the 2018 $300K Entrepreneurs Challenge! 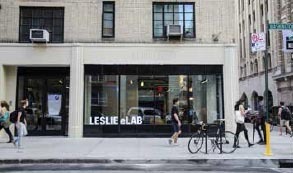 Thank you to NYU Stern School of Business and the W.R. Berkley Innovation Labs for stewarding this influential and important accelerator.